Are you ready to start adding plugins to your WordPress site? One of the main selling points of using WordPress for the creation of a website is the ability to easily tailor the site to your business needs through the use of WordPress plugins. There are thousands of WordPress plugins, designed by professional web developers and independent coders. Based on the overall needs of your business and the features that you want to add to your WordPress site, I can help you determine which plugins will work best for you and your business. Below, you will find what I refer to as my beginner “recipe” for building a WordPress site. While every business has different needs, the following are a good starting point; and as we come to understand your individual goals – we can adjust the ingredients. The security of your website is important, whether your website will be handling sensitive information or not. This is where WordFence Security becomes useful. 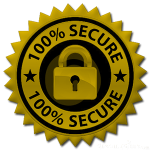 It is a quality security plugin with additional features that can help speed up your site. WordFence will scan your entire website for any signs of malicious attacks or viruses. It also provides real-time protection against attackers, so that you get the peace of mind that comes with knowing that your website is thoroughly protected. In addition to security, WordFence includes Falcon Engine – which caches your WordPress site in order to deliver static webpages to your visitors, speeding the performance of your website. If you are going to have multiple WordPress sites, either for different branches within your company or for promoting various products or services, then having a plugin that allows easy multi-site management is a must. MainWP allows you to manage all your WordPress sites from a single dashboard. Handle theme and plugin updates, user management, content creation, and other WordPress features without having to login into different WordPress accounts. Google Analytics is one of the most used analytical platforms for tracking visits to your website and the behavior of your visitors. With Google Analyticator, all of your stats can be accessed directly from your WordPress dashboard. It also allows you to automatically insert the necessary Google Analytics tracking code in all your pages and new posts. How are your clients or customers going to contact you? Every website needs a contact form and Gravity Forms makes it simple to add them to any post or page on your site. It integrates with a large number of different WordPress plugins and has an easy to understand user interface. One of the biggest drains on website performance is the use of images. Unlike standard image files, SVG files contain a series of points that are read by a web browser to create a scalable image that does not degrade in quality when resizing. WP SVG Icons provides over 400 icons that you can safely without any worry of slowing down your website. Use the included icons or upload your own custom icons. Icons can be used as navigational buttons or to help provide more interest to a bland page or post. A major part of designing the layout of a WordPress site is the use of widgets. The WordPress theme that you have installed will determine where and how you can use widgets on your site. By adding Widget Manager, you have more control over how your widgets are used and which pages they appear on. Quickly remove specific widgets from a page or post or add a widget to an individual page. Shortcodes are small lines of text contained inside brackets that let you instantly add one of your installed WordPress features to a specific part of a page or post. For example, with a shortcode, you can instantly add a pre-built contact form to a page. Shortcodes Ultimate provides you with an additional set of shortcodes to make the process of adding buttons, sliders, videos, or other features to any part of your WordPress website. When adding an abundance of plugins to your WordPress website, you run the risk of slowing down your website. Part of the reason for this decrease in speed is the fact that every time a visitor goes to a new page, WordPress creates a dynamic webpage by gathering information from the website, the specific page the user is visiting, and all of the plugins and widgets that appear on the page. WP Super Cache can eliminate this problem by delivering a static HTML version of the page. WP Super Cache will cache all of your WordPress pages and create static HTML pages from them, for faster page loading times and a better user experience for your visitors. By utilizing these plugins, you can get a lot more out of your WordPress site, without needing to shell out big bucks on expensive plugins. The majority of the plugins discussed are free to use, with premium upgrades for additional features; and they are some of the most useful WordPress plugins; though, each website is different. Working together, we can go over all of your business needs and goals to come to an understanding about what you want to get out of your website. Based on your criteria, we can come up with the perfect recipe for a spectacular WordPress website to showcase your business and start increasing your online presence. In this modern age, without a website to represent your business online, you are dead in the water. You need an online destination where existing and potential customers can learn more about your business, your products, and the services that you provide. If you have never owned your own website, this may appear challenging. Luckily, there are a couple of popular services out there that make it fairly simple for anyone to begin setting up their own business website. These options are WordPress and Wix – the two leading platforms for easy web design. The most convenient way to compare these two web design solutions is to break them down into different categories. I’ll offer insight into both options, in each individual category, as we examine ease of use, available themes, additional features and plugins, and pricing. As we look at both WordPress and Wix, I’ll give you an honest side by side comparison. Read through this article, compare the advantages and disadvantages of each, and then come to your own conclusion about which option will suit your business needs. I must first disclose my own personal bias. I am a WordPress developer and have been building websites with WordPress since 2005. My preference for WordPress is based on flexibility, variety and quantity & quality of software options. That disclosure made, Wix is also a very good choice for a content management system. Let’s see how they compare. Can anyone use WordPress or Wix to create a website? Sure, the tools are fairly easy to understand; though, it may take a little bit of time to familiarize yourself with the controls and options, regardless of which service you choose. WordPress offers an enormous amount of a features that some may find overwhelming. When editing your site, or individual web pages and posts, there is a text editor with a layout that is similar to using a word processing program. The learning curve to using WordPress comes from all of the options. You can add plugins, adjust your site layout, schedule posts for a later date, and so much more. With Wix, you are given a drag-and-drop HTML editor that allows you to edit and rearrange the elements on your site without needing any coding experience. This is simple enough to use; though, it does not take long to turn a beautiful template in a large mess of elements. When using Wix, your best bet is to keep it simple – find a template that you like, adjust colors and background, and then start adding your content and business information. Overall, Wix has a more user-friendly interface. That is not to say that WordPress is extremely difficult. There are thousands of articles and how-to videos, as well as support from WordPress.org, that will help explain every step of setting up your website. Both WordPress and Wix provide you with a whole slew of themes to choose from. With WordPress, they are referred to as themes, while Wix prefers to call them templates. Either way, there are plenty of options. Since WordPress is open source, there are thousands of developers just waiting to show off their WordPress skills. With WordPress installed you can look through thousands of free themes. If you want better assurance that your theme will function properly and be compatible with all your plugins, you might want to consider a premium theme. These can range in price from $30 to $200, depending on the amount of features built into the theme. As with WordPress, Wix has free and paid templates. After creating an account, you can browse through a selection of templates for your website and instantly get to work editing your site. Also like WordPress, the free templates are slightly more limited in features than the paid templates. Currently, WordPress has Wix outnumbered in the theme department. Wix likes to show off their flashy templates on their homepage, but the truth is – just about any template you find on Wix you can discover something similar on WordPress. When it comes to additional features or plugins, WordPress vastly surpasses Wix. WordPress has been around for over 15 years; and as an open-source platform – there are plenty of developers working away at creating useful or fun plugins. This is great for businesses looking for a specific feature, but you can run into the same problem mentioned about WordPress themes – not all plugins are going to be regularly updated or provide 100% compatibility. Wix, on the other hand, is not an open-source website builder. All of the plugins and features available at Wix are handled through their own development team or companies that they hire to develop features. Also, most of these extra features require a fee to use. On the plus side, compatibility is hardly ever an issue with Wix. WordPress software, available from WordPress.org, is free to download and use. Getting started with Wix is free and as can be expected you get what you pay for. Regardless of which software you end up going with, the free part of creating your website does not last long. WordPress itself is a free, open-source software that anyone can use, but you will need to purchase website hosting and a domain name. Hosting will vary, based on which company you choose, with an average of $6 to $10 per month. A domain name will run you about $10 to $15 dollars each year. Wix.com has a pricing structure, designed to let you choose what level of service you want. With a free account, you are allowed to pick from the free website templates, create and edit your site, and that is about it. In order to use your own domain name (instead of sticking with the default – username.wix.com/your-business), you will need to signup for at least the cheapest plan – at just over $4 per month. From there, you can choose from 4 other plans, which can cost up to $24 per month. It is technically cheaper to get started with Wix, but we haven’t even begun to cover the use of plugins and premium templates; though, the same can be said about WordPress. You can find many quality free plugins for WordPress; however, the most reliable WordPress plugins and themes often have a price tag. If you are desperate to get a website up and running at the lowest cost, Wix could be the answer. Just remember, you will be severely limited in customization options, when compared to setting up a WordPress site. Even though both Wix and WordPress attempt to make the process of building and maintaining a website as easy as possible, many businesses still turn to professional developers and website designers to handle the creation of their site. There are many reasons for this. Some businesses would prefer to focus on other aspects of their business and allow a professional designer to ensure their site has an attractive layout and proper search engine optimization. Requiring a feature for your site that is specific to your business needs could also require the help of a developer. With the ease of use that Wix provides, it is hard to imagine you needing to hand over the reigns to someone else. For WordPress users, hiring an expert can give you the peace of mind in knowing that your website is functioning correctly, if you are going to require a lot of plugins or other features, but if you have the time and are willing to do a little research as needed, then you should not really run into many problems creating your own WordPress site. Deciding to hire a developer over handling the project yourself really comes down to your personal goals and needs. 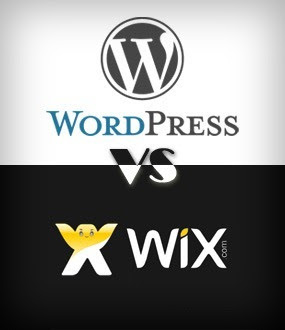 Should you choose WordPress for your website or Wix? Well, they both have their own advantages and disadvantages. WordPress has a massive amount of customization features, available plugins, and is part of a large developer community. The greatest strength of WordPress, customization, can also be a hindrance. With so many plugins and themes to choose from, it can be hard to determine which plugins or themes are fully compatible or receive regular support and updates. Wix, on the other hand, carefully controls which features are available. While you may be limited in options when compared to WordPress, there is more stable support and compatibility. Pricing for either service will depend on the add-ons you want for your website. Wix provides a more streamlined, drag-and-drop interface, while the WordPress dashboard may take some getting used to. When choosing between these two services, you should start by thinking about your needs. Wix could be a great choice, if you want to build a basic website with limited features. In time, we may see Wix increase available customization options and plugins, but for now, WordPress is a smarter solution for those with specific needs. If you want additional information about using either Wix or WordPress, feel free to leave me a message. I’ll get back to you quickly and would love to help you get your business off the ground. 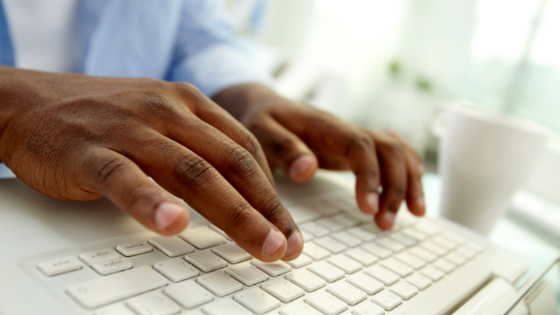 In this day and age, as a business owner, you cannot ignore the power of the internet. 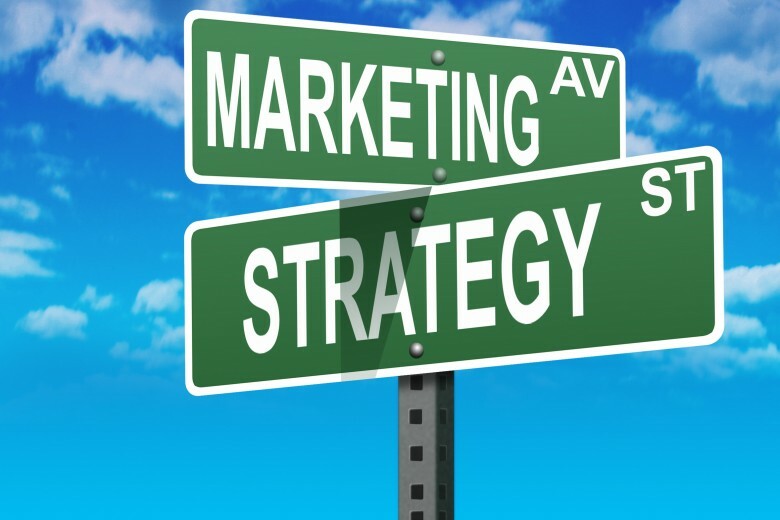 The simple truth is that if you want more people to know about your products and services then you need an active online marketing strategy. For those that are unfamiliar with running a business online, don’t worry, I’m going to walk you through the main steps towards building an effective online marketing strategy. This is a mostly painless process and you will come out the other side better equipped to market your business. 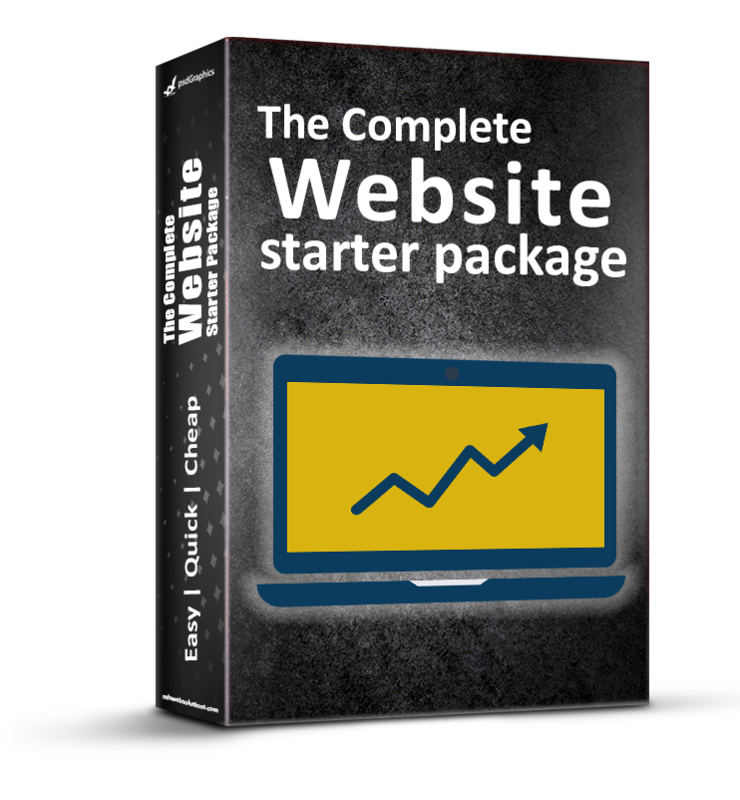 Before you can truly start marketing your business online, you will need a solid website. The steps you take towards attracting customers are geared towards getting people to visit your site. Get a website up and running that looks and functions in a way that reflects your business and makes a strong impression on your visitors; though, it can’t be all bells and whistles – you need informative content. Content is King! It is the main reason your customers have for coming back to your site. Your customers are also more likely to share helpful content with their friends, family, and co-workers or recommend your site and services. The goal of an effective marketing strategy is to drive traffic to your website, however, if the content on your site is of little value – your audience will not come back for more, your traffic will not grow and your business could receive negative word-of-mouth. So you need to have an easy to navigate website full of helpful information that your customers will benefit from and share with others. Some business owners shy away from email marketing, even scoff at the idea of sending out mass emails, but that is the wrong mindset to have. An opt in email list is not spam! It is a list of people that have CHOSEN to subscribe to your mailing list because you offered them a gift with real value that pertains to their interests and your business. I’ll give you a quick example – my business revolves around helping online start-ups increase their web traffic. So I set up a landing page with a video entitled “5 Ways to Double Your Traffic in One Month”. In order to view the helpful video, all they have to do is submit their email address. That’s just one example of how to start building an opt in email list. You are creating the gift of value for your targeted audience; reaching out to potential customers with relevant information that they will benefit from. Your audience is getting something out of it and you are getting something out of it. It may take some time to build your targeted email list, but never make the mistake of buying an email list. Those promotions are often a scam and you could end up shooting yourself in the foot – creating a bad reputation for your business, getting added to spam filters, and losing the trust of potential customers. It seems that just about everyone, from Grandma to school kids, is using Facebook, Twitter, and other social media networks. In fact, a large portion of daily internet usage is devoted to these websites. Research shows that in 2014, 71% of adults used Facebook*, while 23% of adults have a Twitter account. Overall, 74% of all internet users are part of at least one social media network. As of March 2015, Facebook has over 1.4 billion users and Twitter had reached 288 million active users. Ignoring that market base could be detrimental to your success. [su_frame align=”right”] [/su_frame]Once you get your website up, get your business’s Facebook page and Twitter account set up. They provide a great opportunity for reaching more people. Use social media to drive traffic to a mailing list landing page on your website. Tell engaging stories with relevant information that people can actually use. Link back to specific pages on your website. Starting a discussion or posting interactive forms are a couple of useful methods of getting feedback from your audience. Learn from their comments, listen to what they have to say about the information you provide. Answer any questions that come up and honestly engage your target audience. Social media advertising is another option to consider. Facebook paid advertising can get your message to hundreds of thousands of people at very little cost – great bang for the buck! Even Twitter is getting involved in advertising and now offers affordable ways to promote your tweets to Twitter users. Using Social media to drive appropriate traffic to your mailing list landing page, telling stories relevant to your business with links to specific pages, posting interactive forms that ask questions so you can get valuable feedback about the types of problems you should be solving for your audience. One of the most under-utilized forms of marketing online is video, yet it has been shown to be the most effective. You don’t need a large production budget to put together a quality video that provides your potential customers with helpful, relevant information about your services or products. Use high traffic environments, such as YouTube, to post informative videos. Link back to a specific page or article on your website or include opt-in subscription buttons. Everyone likes free stuff. Create giveaways that have a real value to your customers. Whether you offer discounts on services or free products, your first step is decide what your goal is. Do you want to gain more subscribers for your mailing list or maybe sell a specific product? Determine your goal, choose what you are giving away, and decide how long you want the giveaway to last. Come up with the details of the giveaway, including rules and restrictions, and then set up a landing page where details are provided. When you are ready to start running your promotion, tweet about and share the info on Facebook to get the word out. If your giveaway has real value, it will attract your target audience. Each of the individual strategies discussed so far can go a long way towards increasing your online presence and attracting customers, but they are much more effective when they work together. Above all else, the content you deliver on your website should be a primary concern. Your overall goal is to drive traffic to the informative content on your website – so remember that content is king. Use your site to create relevant blog articles and then share these stories on social media. Engage people on social media and get a discussion going, link back from your videos to specific landing pages on your site, and create giveaways to gather subscribers. The whole process has a trickle-down effect, with the end result being more traffic for your site and a stronger connection with your customers. Before moving forward, understand that this can take some time – be patient, develop your strategies, and continue learning from your mistakes and successes. If you want to have a successful business, there is no easy, quick magic bullet. You are going to have to put in some hard work. Study, learn, and research – fail forward, pick up the pieces, and keep on moving towards your goals. What is SEO and How Does Using WordPress Help? SEO is a term that I am sure most people have heard tossed around in discussions and articles about business websites, but what exactly is SEO? First off, SEO stands for “search engine optimization” and if you consider the term, it is a fairly direct phrase. With SEO, a web page is being optimized for search engines, ensuring they can properly inspect a website and gather accurate information about the web pages. But that is just a generalization of SEO, there is much more to it, and using a website platform, such as WordPress, can streamline and improve the process of optimizing a website for search engines. Learn more about how search engine optimization is crucial to getting noticed online and how WordPress can help. The primary goal of SEO is to increase web page rankings on SERPs (yes, I am throwing another term at you), which stands for “search engine results pages”. When an internet user performs a search, the search engine provides a list of pages that they have determined will be most relevant and most helpful to the user’s search query. In order to determine the relevance of web pages, search engines employ a number of techniques and complicated algorithms, but first, they must look at a variety of criteria on the millions of web pages out there. Search engines “crawl” web sites and create a record of what they find. They will follow the links on the pages, scroll through the content, and add information to their databases. While search engines use hundreds of pieces of specific information to determine SERP rankings, there is a handful of areas that every website owner should pay attention to. This includes the content of the web page, the use of a keyword phrase or phrases to focus on, the number of back-links to the page, the amount of social media sharing that links to the page, structure and layout of the page, as well as page load time. Ensuring a web page is setup with this criteria in mind in order to increase rankings on SERPs is the main focus of SEO. The more often a website appears towards the top of SERPs, the more visitors that page will get. If you want to increase your online exposure, your website needs to include proper SEO techniques. The WordPress dashboard makes it easy to ensure each new page has a custom title and description that is specific to that page and not auto-generated by search engines using the first sentence from the web page. Focus keyword phrases can easily be added to the title and description as the page is created. Taxonomy is another area where WordPress helps improve SEO – namely the use of categories and tags, which are a useful function provided by WordPress. As a web page is created, categories and tags are chosen to help relate similar content from the website. If you think of your website as a large book full of useful information, the categories are individual chapters and the tags are like the index. This helps user navigation and search engine optimization. WordPress actually creates an additional web page each time a category or tag is added. The additional internal links generated by these pages increases a website’s overall SEO. Whenever adding an image to a webpage, both the TITLE and “ALT” tags should be filled out to include brief descriptions of the image. The purpose of the ALT tag is to help those that are visually impaired and relying on a program to read them the content of a webpage or if the image fails to load; though, over time, the use of ALT tags has become a determining factor in SERP rankings and offers an additional opportunity to use focus keyword phrases. WordPress has made it simple to add images and has included a spot for entering text for both the TITLE and ALT tags each time an image gets added to a page. WordPress itself can provide numerous SEO benefits, but one of the largest advantages is through the use of quality plugins. By adding an XML sitemap plugin, the sitemap automatically gets updated each time a new web page is added. Some of these sitemap plugins will even resubmit the updated sitemaps directly to the top search engines, such as Google, Yahoo and Bing. Other than sitemap plugins, there are a variety of useful plugins that focus on good SEO techniques, such as WordPress SEO by Yoast. These plugins will allow a user to choose a specific keyword phrase for each web page and then keep track of how often it gets used throughout the page as well as verify that all search engine optimization techniques are followed before the page gets published. Best of all, many of these WordPress SEO plugins are free to use and updated on a regular basis. 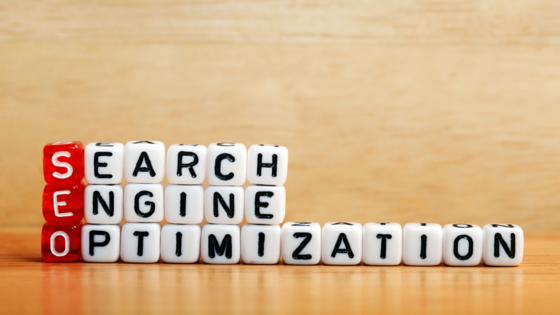 Search engine optimization does not have to be an overly complicated process; though, the amount of competition and the number of people working to make sure their own websites, or websites belonging to their clients, achieve the highest search rankings does increase the stakes. By using WordPress, and possibly a helpful WordPress plugin, anyone can ensure their website is using quality SEO. If you want to learn more about the benefits of good SEO and using WordPress for the design of your own custom website, then please take a look at some of my other articles or send me a message. You know that feeling you get when you see a clown? You feel that you should turn and run, but something inside says that the right thing to do is stay and pretend to be entertained. That’s how I feel whenever I sense that I’m being sold something. Of course, this serves no one. It’s just a waste of time and is frustrating for both the seller and the consumer. I’ve been running a freelance web development business since 2004. Throughout that period, my philosophy revolved around anti-marketing and non-selling. In groups, I rarely spoke about my business, assuming no one was interested – the last thing I wanted was to appear pushy or “salesy” (I’m pretty sure I made that word up, but it fits the situation). I didn’t advertise; heavens no, not that! I felt that any product or service of any real value should be able to stand on its own. A good business shouldn’t have to sell or market. People who need and want my products should magically find me; like stumbling upon a golden unicorn in a dense forest. It was my client’s responsibility to find me, not MY responsibility to let them know what I was doing. I judged sales people as dishonest, shady, uncaring, self-interested, pushy – the list goes on. I certainly didn’t want to be on the end of that kind of judgment. Let me underscore that this was my perception; not my reality, it’s what I had made up. In truth, I had personal relationships with many decent, loving, warm people in the sale and marketing industry. So, how successful was my anti-marketed, non-sell business? Not good! I mean, I did good work and my clients all loved me; however, word of mouth and referrals was my only source of new projects. Thankfully, I had other income streams. So bills got paid, children got fed, and the wife got taken out to dinner. It was enough to exist, but that wasn’t who I was – just existing, just getting by. That’s not OK. My family deserved better and I deserved better. Why was this not working? Discovering podcasts led to an epiphany, especially discovering Troy Dean’s WPElevation podcast. I listened to person after person share their experience with WordPress and what really impressed me was how many people are running successful businesses on a WordPress foundation. So I started meditating on the difference between my old freelance business model (or lack thereof) and what I was hearing from all these successful online entrepreneurs. A new hybrid marketing model gradually materialized from these meditations. My new marketing strategy revolves around these key points – inform, assist, help, and serve the business community. I don’t want to push people into buying something they don’t need – I let them know what I do. If they need the services that I offer, then great, let’s get started. If they don’t need what I offer, maybe I can help them connect with someone that does have what they need. You may call this networking, but I choose to call it COMMUNITY. On this foundation, I decided to restructure my business. So here are my new principles regarding selling, advertising, and marketing. Don’t sell to customers, inform them. Don’t market to customers, assist them. Don’t form a network – form a community. I am committed to making sure that as many people as I can reach have a crystal clear understanding of what I do. I will use whatever resources are at my disposal to tell my “story”. I will be honest and clear about what I can do, what I can’t do; along with what I’m willing to do and what I’m not willing to do. I will continue to listen to my potential client’s needs so that I can be well informed, in order to help them find a solution to their needs. It may turn out that my area of expertise is not what they need – in those situations, perhaps I know someone who does possess the expertise they need and I can facilitate an introduction. The focus should not be about closing a sale – it should be about forming relationships in which we can all help each other. This is not a new thought process, but ancient wisdom. This is actually how our ancestors lived thousands of years ago. Instead of focusing on our own agendas, we should be working together as a community to inform, assist, help, and serve in whatever capacity possible. By now, most people have heard of WordPress, with more than 200 million websites built using the platform – she has been around for awhile. My own relationship with WordPress goes back to 2006 – WordPress version 2.0. 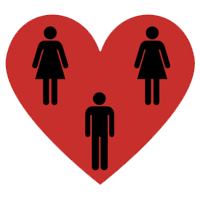 She was awkward and unattractive, but there was something charmingly simple about her. We dated for a bit, but I eventually left her for the elegance and controlled poise of HTML. By 2009 I had grown weary of the constant learning curve and complex maintenance of my HTML girlfriend. I had, however, invested a number of years with her and we had been through the trenches together. I had no intention of leaving her. I loved her… really! Then I saw WordPress again. She was all grown up, her plugins were full and robust. Her themes were gorgeous and rich, her core was stable and secure. I was weak and in a moment of passionate abandon, I rebuilt my website with WordPress. When HTML found out, it was like the end of the internet. It was a huge emotional mess! Luckily, the three of us worked through this very difficult period and came out on the other side stronger and with more clarity than ever before. We were all maturing. We now have an understanding. WordPress and HTML both need me and I need them. HTML and I work beautifully together to build sites when the client has no interest in managing content – they are completely happy to send me a text document or folder full of images and let me work my magic. WordPress and I offer a full palette of services for clients who want a more hands-on relationship with their website. We have learned how to make our unique relationship not only work but thrive! Okay, metaphors aside, I am a freelance front-end designer and web developer. I appreciate the specific strengths and benefits of both WordPress and HTML. In fact, if it wasn’t for HTML and CSS I wouldn’t have the level of control and flexibility over WordPress that allows me to tweak and modify the themes and plugins. After an initial discussion with a new client, I know which path I need to head down. I have found that they are always pleased that they have the option of a CMS (content management system) or a site built completely in HTML; however, with the advent of WordPress security plugins, like WordFence, and the evolution of its core, WordPress has become a more attractive and economical option for an increasing number of my clients. I now find myself using WordPress for about 9 out of 10 of the sites I build these days. Over the years, I have come up with a starting “recipe” for developing a WordPress website. The main ingredients can be divided into WordPress themes and WordPress plugins. Depending on the needs of my clients, I may substitute one ingredient for another. I listen to what my clients want for their website and tweak the recipe to create just the right taste. WordPress has truly evolved over the years and I am happy to again embrace her as part of my website development strategy along with HTML and CSS. Informing my clients about the benefits of using WordPress allows me to better serve and assist them as we work together towards their goals. If you would like to learn more about WordPress, for your own needs or the needs of a client, then take a moment to look at some of the resources available on my site or feel free to send me a message. Are you looking for a better solution to market your business online? Then learn why WordPress is the answer for so many online businesses. Sure, you have probably heard of WordPress before, and more than likely you have visited websites that have been built using WordPress, but you may not really understand the appeal behind this free content management system (CMS). WordPress got its start as a simple way for bloggers to quickly and easily get their articles published on the web. Over the years it has evolved to become so much more than just a blogging platform for sharing personal stories or pics of your kids. It is now the most used content management system on the internet. Over 200 million websites have been created using WordPress and it is used by some of the top companies across a range of industries. So, whether you want to sell and promote your products and services or just blog about your feelings and how many puppies Fluffy had last night, let me explain why WordPress should be your first choice. You don’t need to be a tech expert to create a WordPress site or manage your own content. If the kid that mows your lawn can setup a WordPress site to share his thoughts on the world, then you should have no problem using WordPress to promote your business and market your brand. The installation process is simple and the popularity of WordPress has led to a large online community full of helpful resources and tips. Anyone can get started with WordPress and the process of creating a website using this platform is quicker than with other solutions. Using WordPress is a cost-effective way to increase your online presence and reach more customers. There are lots of free features and options that you can use to make your site stand out or to add more features for your users. WordPress is an open source platform. This means that it is free to use, resulting in a large developer community that is constantly creating new WordPress plugins and themes. Plugins and themes are the heart and soul of WordPress. Starting with a theme, you can begin creating a website that reflects your business. From there, you can browse through thousands of WordPress plugins, offering additional features, that can provide your visitors with a better user experience and help you tweak the look of your website. Creating a website is just one part of reaching out to online consumers. 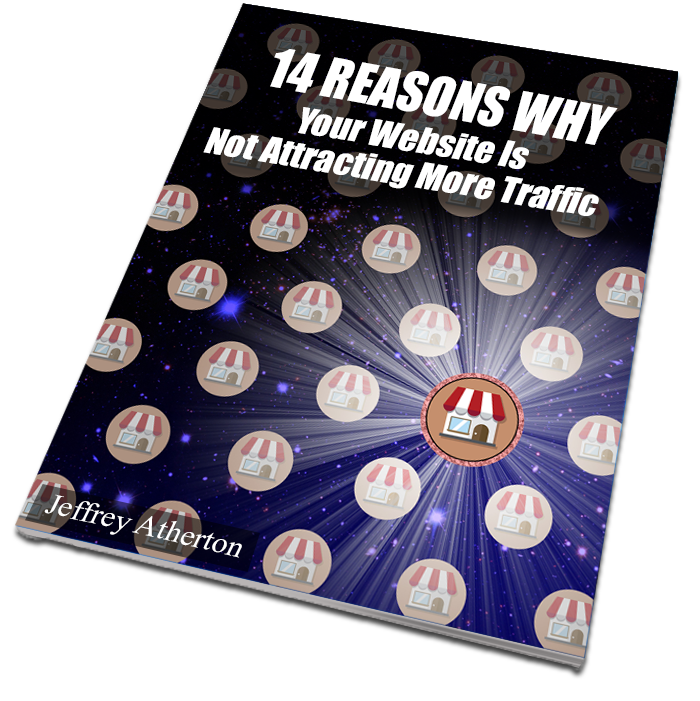 Once you have a website up and running, you need to get noticed. Luckily, WordPress has built-in features to help improve search engine optimization. There are also a number of WordPress plugins designed to help with SEO and increase your search engine rankings. WordPress makes it easier to ensure you are following good SEO practices – letting you focus on running your business and delivering helpful content to your potential customers. Thanks for taking the time to find out why WordPress is so popular. My name is Jeffrey Atherton, a freelance web developer based out of Denver. If you want to learn more about WordPress, then check out my WordPress classes. I can teach you the basics, offer advice, and help you get your first WordPress site setup. 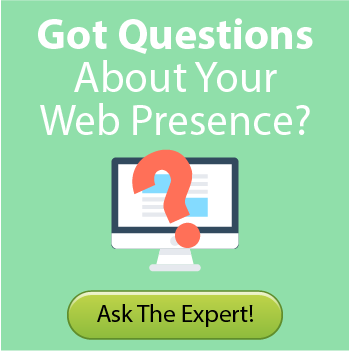 Before you know it, you will be introducing yourself as a WordPress expert – increasing your online presence and reaching new heights while growing your business.